BRCA1 and BRCA2are genes that produce proteins that act as tumor suppressors. These genes are involved in maintenance of genome stability,and inherited mutations in BRCA1 and BRCA2 predispose women to a higher risk of breast and ovarian cancer, and also predispose men to a higher risk of breast cancer. Mutations in these genes is also linked with increased risks of several other types of cancer. Blood tests can reveal if you have specific mutations in these genes, and can help you determine the best response to such news. 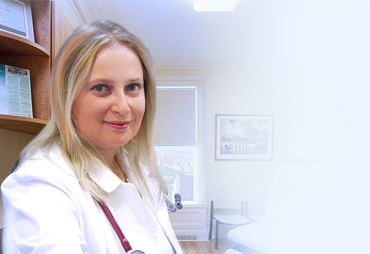 Dr. Gafanovich, together with a genetic counsellor, will guide you and provide you with several treatment options. Depending on the population, BRCA1 and BRCA2 mutations account for about up to 25 percent of hereditary breast cancers, and up to 10 percent of all breast cancers. BRCA1 and BRCA2 mutationsaccount for about 15 percent of ovarian cancers. The cumulative breast cancer risk by age 70 for those with a BRCA1 mutation is 57%, and 49% for BRCA2 carriers. About 39% of women who inherit a BRCA1 mutation, and up to 17 % of women who inherit a BRCA2 mutation will develop ovarian cancer by age 70. The test is usually done after someone is diagnosed with breast or ovarian cancer, and then family member of such patients are encouraged to be tested. So if you have a family history of breast or ovariancancer, you should consider getting tested. People of Ashkenazi (Eastern European) Jewish ancestry have about a 1 in 40 chance of having a mutated BRCA gene, which is higher than in the general population. Other populations that also have a higher rate of BRCA gene mutations include people of Norwegian, Dutch and Icelandic ancestry. BRCA1 and BRCA2mutations vary among individual ethnic groups in the United States, including African Americans, Hispanics, Asian Americans, and non-Hispanic whites. Before getting tested you will meet with Dr. Gafanovich, who will explain the risks and benefits of the test, and the implications of test results. Genetic counselling will help you understand a positive or a negative test result, and what the medical implications are. Although commonly a bloodtest is used to determineBRCA status, saliva or skin biopsy samples could also be used. Several weeks are required before test results are available. You will then meet with Dr. Gafanovich and your genetic counselor to discuss the implications of test results and your options. Test results are confidential, and laws protect you against discrimination from health insurance companies and employers. What to do after the test? A positive result doesn’t mean that you’ll eventually develop cancer. A positive test result means you have a mutation of one or both of the BRCA genes and that you have a higher risk of developing breast cancer or ovarian cancer. Each child who has a parent with a harmful BRCA1 or BRCA2 mutation has a 50% chance of inheriting a parent’s mutation. If you have a BRCA1 or BRCA2 mutation, each of your full siblings has a 50% chance of having inherited the mutation as well. A negative test result means that you don’t have a BRCA gene mutation. Be aware that a true negative results only if you don’t have a BRCA mutation that a relative has. 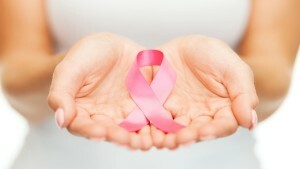 You could still develop breast or ovarian cancer if your result is negative. Variants of unknown significance mean that your results show a BRCA mutation whose clinical significance for disease risk is unclear. A discussion with a genetic counsellor will help clarify all these types of results, and what you can do about them. If you test positive, you have several options. Women who test positive for BRCA1 and BRCA2 mutations could start cancer screening at younger ages than the general population and have more frequent screening. Some experts recommend that these women have a mammogram every year, beginning at age 25 to 35 years, and be sure to ask about the possible risks ofdiagnostic tests that involve radiation (mammograms). The American Cancer Society and the National Comprehensive Cancer Network recommend an annual mammography and MRI for women who have a high risk of breast cancer. Men with BRCA1 and BRCA2 mutations must also self-examine their breasts and discuss their diagnostic options with Dr. Gafanovich. A pelvic exam,transvaginal ultrasound, and blood tests for the antigen CA-125 to detect ovarian cancer should be performed. These tests don’t guarantee detection. Be aware of abdominal bloating and quickly feeling full when eating, as these are signs of ovarian cancer. Surgical intervention, in particular salpingo-oophorectomy, the removal of healthy fallopian tubes and ovaries, reduces the risk of ovarian and breast cancer and reduces overall mortality. Preventive removal of healthy breast tissue lowers breast cancer risk for BRCA genemutation carriers by about 90%. Preventive salpingo-oophorectomy reduces breast cancer risk by as much as 50% in premenopausal women, and reduces ovarian cancer risk by as much as 90%in both pre- and postmenopausal women. Surgery does have risks too and these should be considered when making the decision to have preventative procedures. You could still develop cancer if you have surgery and some tissue wasn’t removed. Even if you are BRCA negative, you could still develop either breast or ovarian cancer. You could also develop cancer if you have a variant of unknown significance.